I am returning from Chattanooga today. No, not Nashville, because believe it or not, Nashville is not the only city in Tennessee. It’s Chattanooga. This fact is lost on many of the people that I inform of my travels. Chattanooga doesn’t have a great reputation. One of the smaller Tennessee cities, it’s still ranked as the fourth most dangerous statewide city in 2013, in a state already named as the most dangerous one in the nation. Plus, when compared to its bright and sparkly sister, Nashville, it’s music scene nor tourism measures up. Even though the hilly, quiet city is no international destination, it does have some character that distinguishes it from its famous neighbors such as Knoxville, Atlanta and Nashville. Chattanooga, reminiscent of the Meatpacking District of Manhattan with its lines of historical and refurbished warehouses, is marked by a rather exciting railway and mining history. 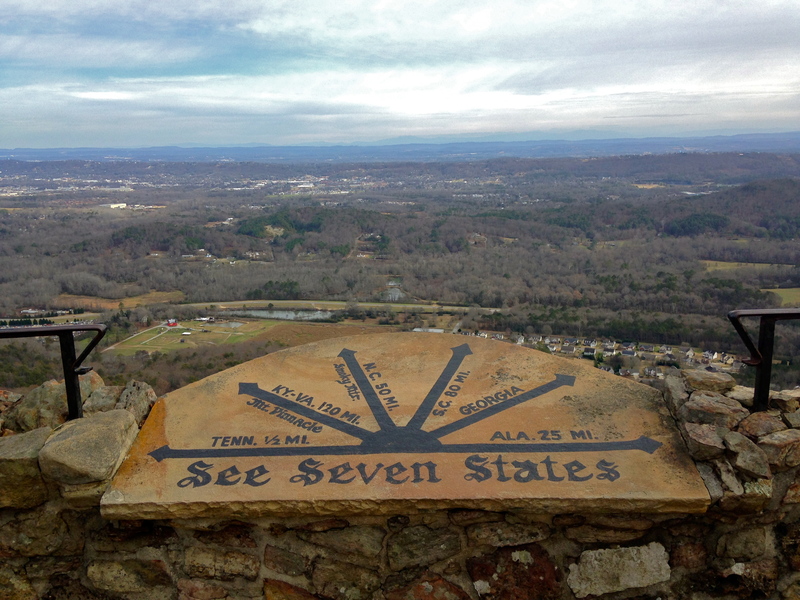 My friend who recently relocated to the city, the reason for my visit, took me to Lookout Mountain, a scenic city attraction and the epitome of the railway and mining reputation of Chattanooga. 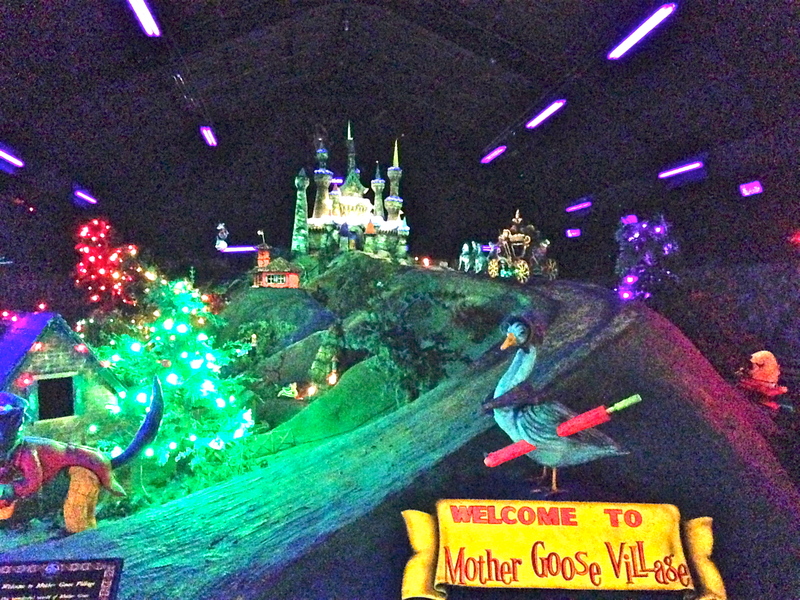 Made up within the mountain is the Incline Railway, Ruby Falls and Rock City. 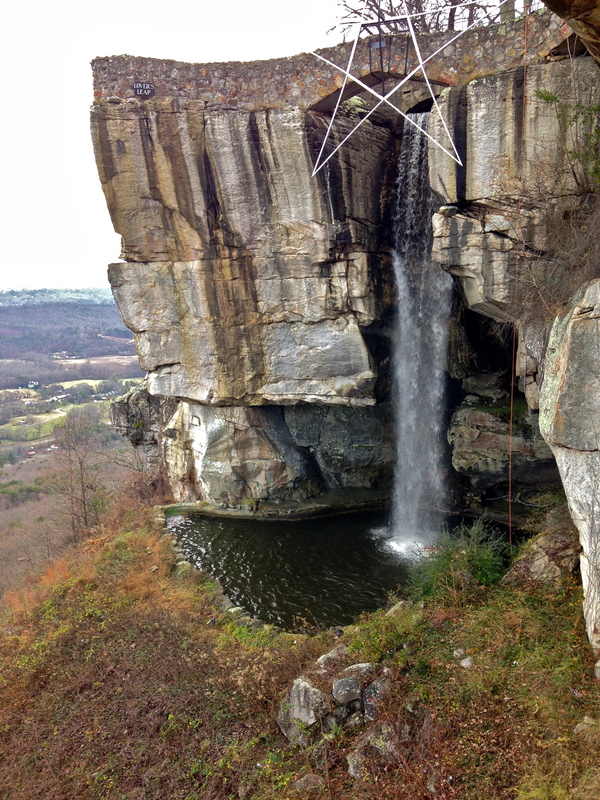 Rock City, the premier park that brings brings visitors up the 1700 feet above sea level that is Lookout Mountain, is decorated with various festive displays within its interesting rock formations and pretty peaks. The self-guided tour is easy and family friendly with some cheap thrills along the way, including one zookept albino deer, displays within the Fairyland Caverns and a spot where visitors can see seven states from its lookout point. 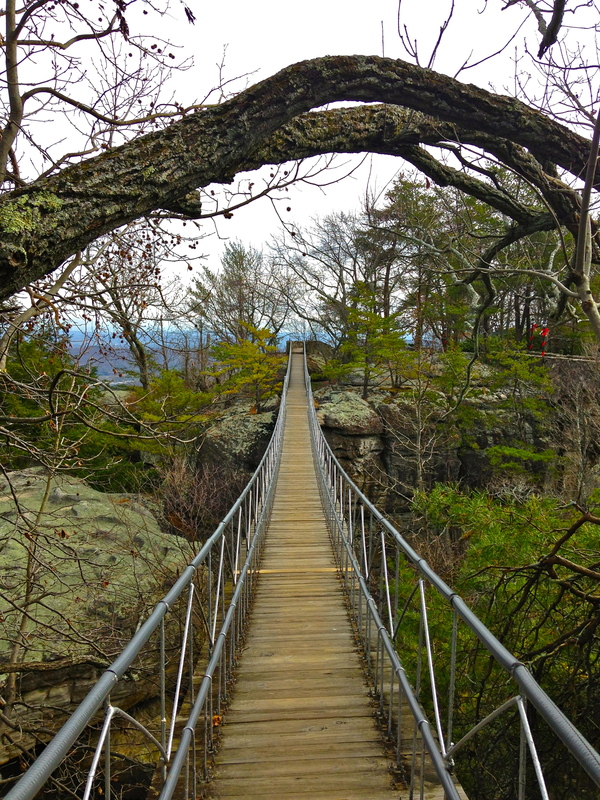 At the peak of Rock City, seven states are visible. 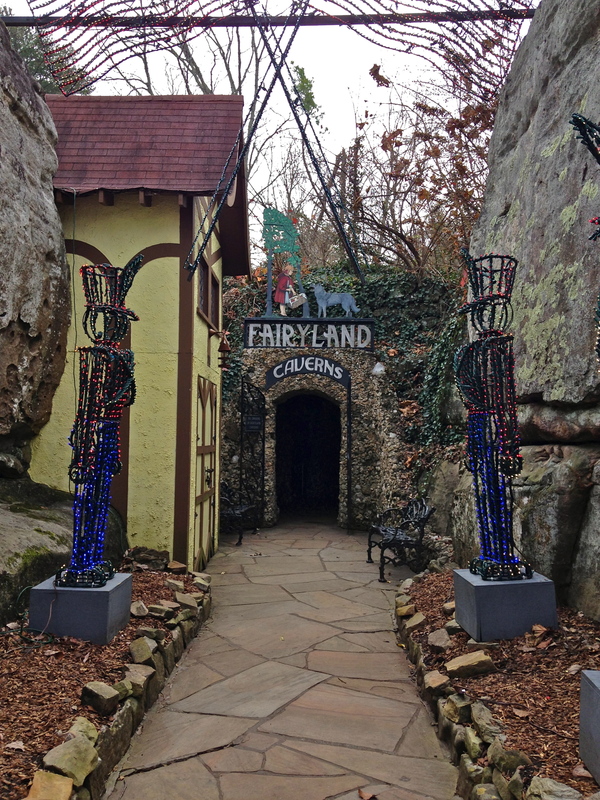 The highlight of Rock City is the Fairyland Caverns, a small cave system in which someone very meticulously created elaborate displays of creepy gnomes doing storybook deeds or playing in the rocks. In the darkness of the caves and lit by fluorescent lights, it’s a strange walkthrough, especially accompanied by the upbeat Christmas music. 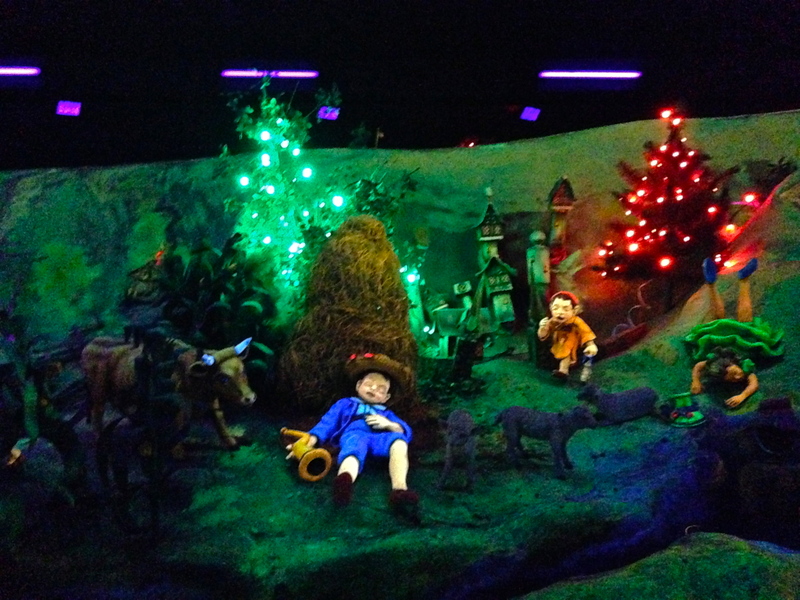 Near the end of this twist of displays is Mother Goose Village, a circle of storybook scenes including Humpty Dumpty, Cinderella and the Three Little Pigs, all very brightly decorated and also accentuated by the festive music. It’s both impressive and daunting, like the beginning of a bad horror movie. The other, and more standout element, of Lookout Mountain is Ruby Falls, the tallest underground waterfall in the world settled interestingly in Tennessee rather than in Mexico, Nepal or Canada. Ruby Falls is the tallest underground waterfall on earth, hidden deep within the rock-formation ridden caverns which can be reached in a guided tour. 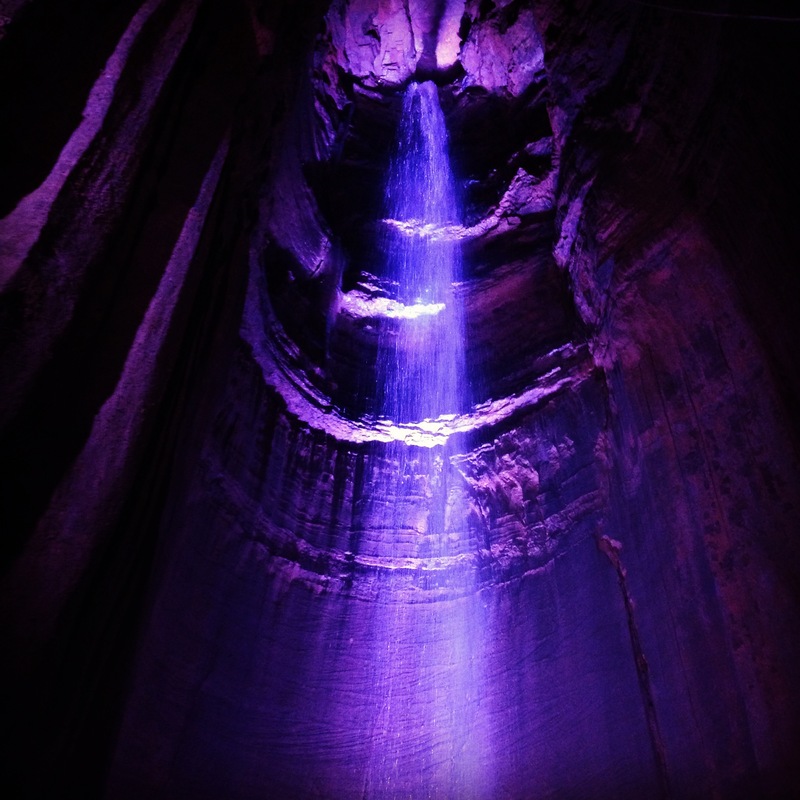 Guides point out cutesy formations such as “Steak and Eggs,” “Fish” and “Western Sunset.”After about a 30-minute walk, the cave opens up Indiana-Jones style into a large, formidable opening where Ruby Falls is very extravagantly lit up in changing fluorescent colors. Ruby Falls is the world’s tallest underground waterfall. I asked our tour guide about the Chattanooga Choo-Choo, a much-talked-about city attraction that hasn’t been making much sense to me. The tour guide disregards with a wave of her hand. “Eh. It’s like a hotel or something.” Not surprisingly, the Choo-Choo doesn’t impress her. My tour guide was right. The Chattanooga Choo-Choo is a former train station and now-hotel which was dubbed with the name after the catchy 1940’s song. That’s pretty much it. I think we can all agree that Chattanooga is no Nashville. It doesn’t have a lot of fancy bells and whistles or wandering country celebrities. However, holding the tallest underground waterfall in the world the ability to see seven states at once isn’t something to scoff at either. Being an avid reader and not a fan of winter, I’ve been diving through novels by Susanna Daniel, a relatively new author with new books on the market who writes stories depicting Miami life in an old classic Florida, before condominium developments overrode the shores and pastel cottages stuffed the neighborhoods. Her books are impossible not to get enveloped in when listening to stories of Stiltsville, a vacation “town” on the ocean off of Miami where stilt houses sit in a small community and Florideans quite literally live the dream by always scuba diving, snorkeling, grilling and fishing. I took advantage of Jersey’s full-fledged winter and bought a plane ticket to Clearwater, Florida, anxious to find the Old Florida that I had read about so many times before. My memories of Florida don’t fit this description. 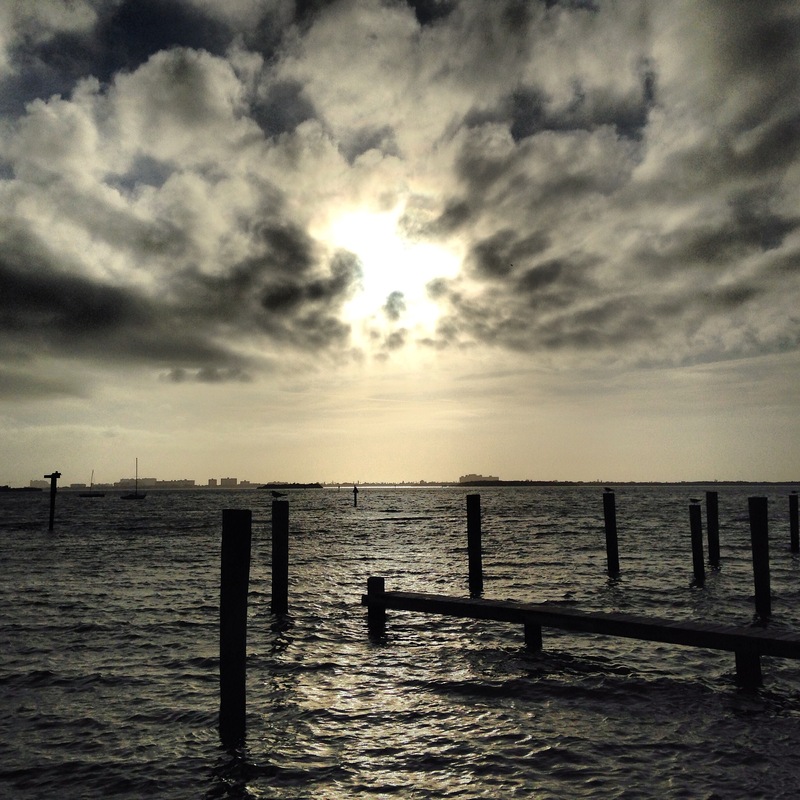 After my great-grandmother passed when I was a kid, my mother inherited a house in Fort Pierce, Florida, a small eastern shore town riddled with toothless neighbors on gray streets. My memories of there consist of 12-hour car rides stuffed next to my sister and her dirty clothes and wading through a murky bay on the days that the rain couldn’t break the dreary heat. These days, I don’t get on a plane to head to the beach and I opt to drive an hour or two to my favorite Jersey Shore beaches instead. However, I’m not some kid stuck in my mother’s truck anymore, and instead, I am equipped with a paycheck. So, I took advantage of Jersey’s full-fledged winter and bought a plane ticket to see my paternal grandmother who resides in Clearwater, Florida, anxious to find the Old Florida that I had read about so many times before. My grandmother first took me to St. Petersburg, which has an old-Hollywood glitz feel probably derived from the presence of The Vinoy, a National Historic Place and working hotel built in 1925. Filled with pastel colors, brilliant chandeliers and the memories of celebrities, the place overlooks the marina and the nearby ocean. St. Petersburg is also home to The Pier, a popular tourist attraction that during my visit, was the site of many locals hanging out on the boards with their eyes closed, listening to gulls and pelicans alongside the sailboats. The Vinoy is a working hotel built in 1925. 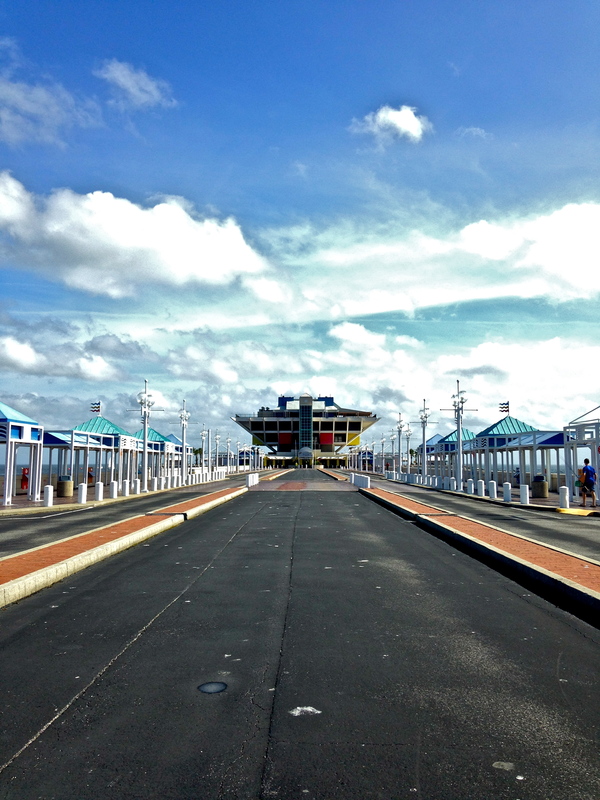 The Pier is a famed St. Petersburg destination. 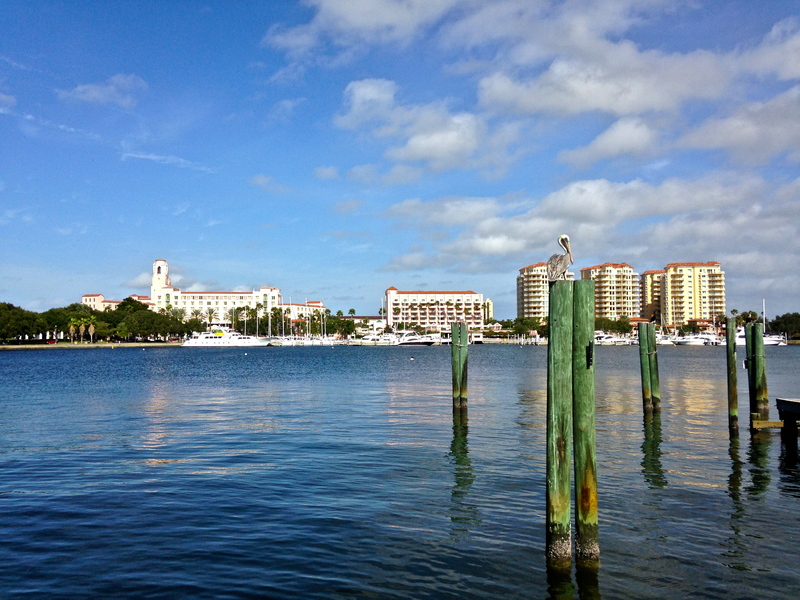 Clearwater, however, has less of the Old Florida air circulating but instead is glamorous in its own way – it is littered with skyscraping hotels, so many that it’s difficult to see the water from any part of the city. 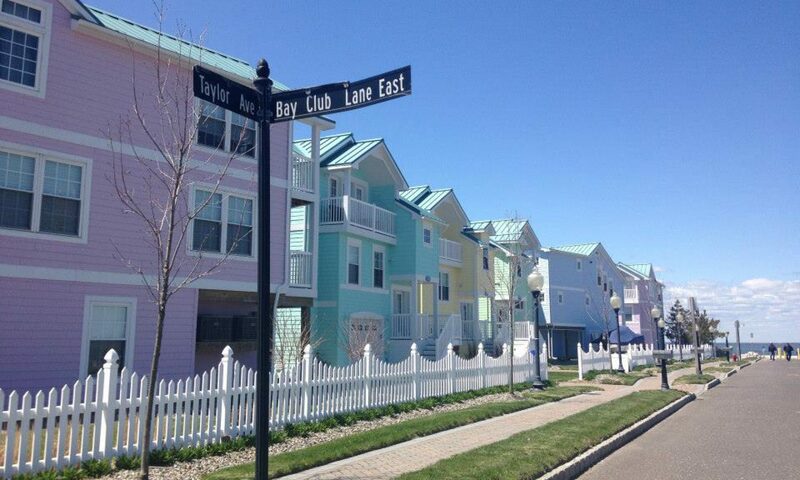 However, Clearwater’s Old Florida does exist in its tiny side neighborhoods which still house bright colors, elaborate seaside decor and sandy front yards near the Clearwater Marine Aquarium, which is home of Winter, the tailless dolphin from the movie Dolphin Tale. 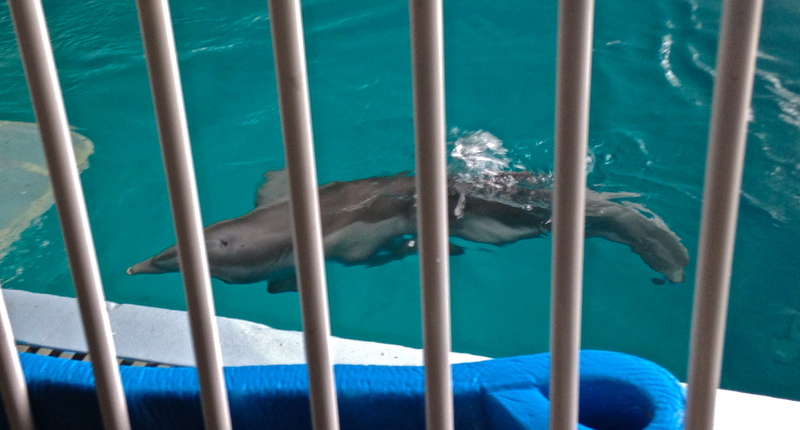 The Aquarium isn’t so much an aquarium as it is a rehabilitation center, where animals are frequently returned to the wild and the other inhabitants nurse lifetime injuries, among then Nicholas, a dolphin who was burned by the sun when he had been beached. 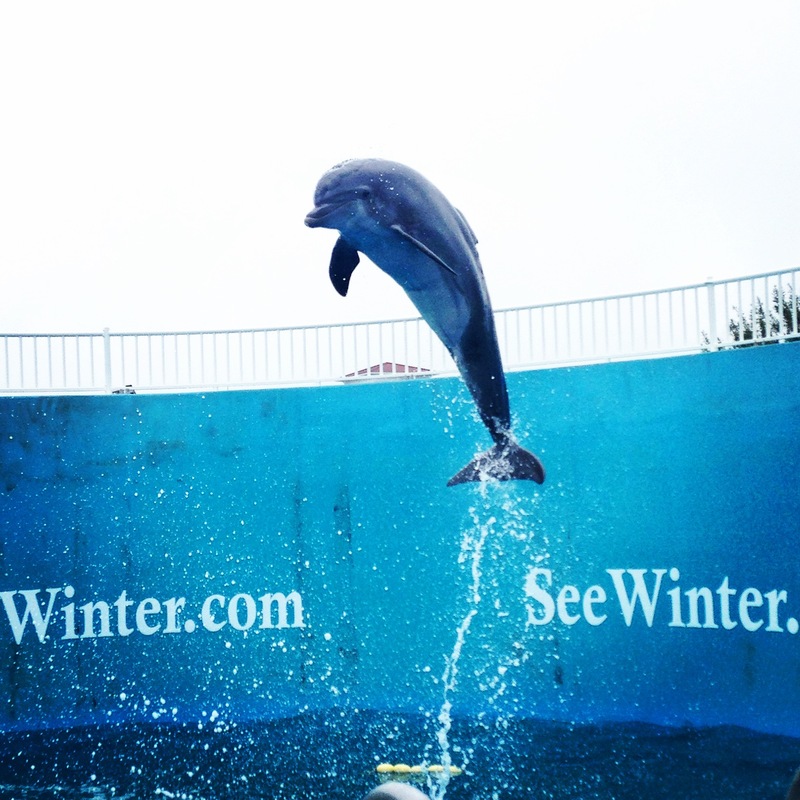 The Clearwater Marine Aquarium is the home of Winter from Dolphin Tale. Nicholas is a lifetime resident of the Clearwater Marine Aquarium following his sunburn. 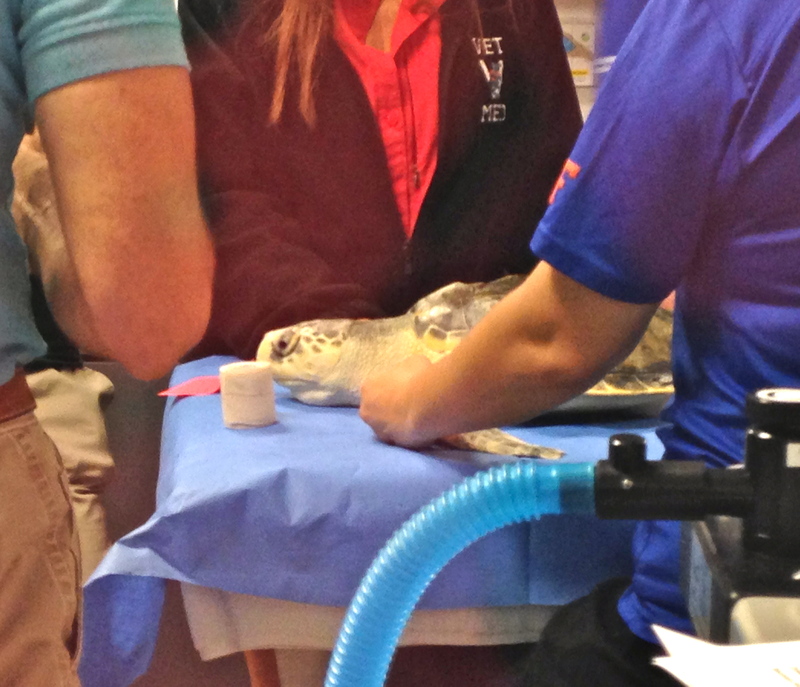 The Clearwater Marine Aquarium functions as a marine hospital. Fort Myers was our next stop, the site of the Edison & Ford winter estate, a beautiful yard and grounds where the families entertained many prestigious guests and Edison housed his laboratory. Not far from Fort Myers is Sanibel, an island off the coast of Florida which boasts the best beaches next to its sister island, Captiva. 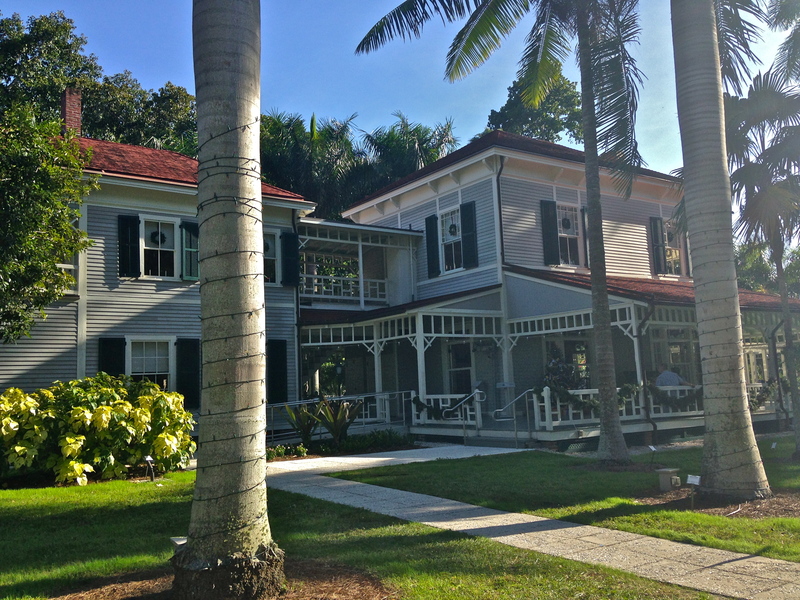 Fort Myers is the site of the Edison & Ford winter estate. 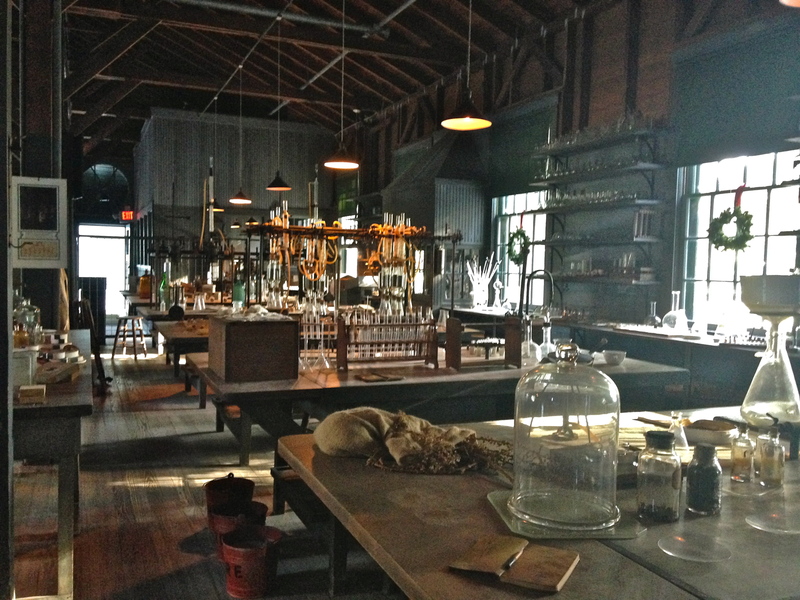 Thomas Edison hosted his lab at his winter estate. Although Florida cannot be the laid-back non-destination that it once enjoyed before travel became commonplace, remnants of Old Florida do exist within state lines, even inside of big cities like St. Petersburg, Clearwater, Fort Myers and Sanibel. 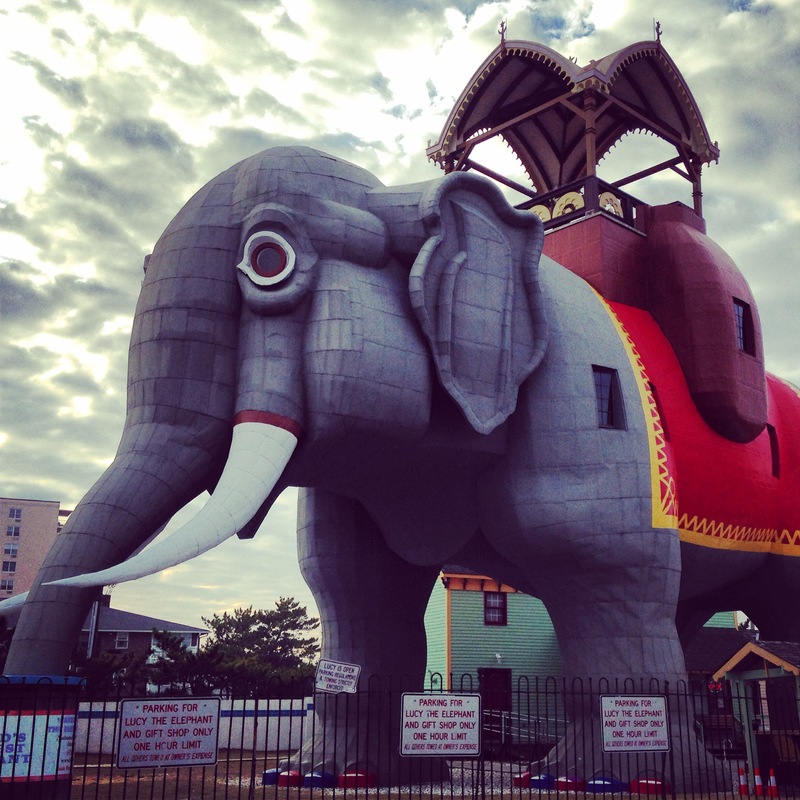 Upon pulling up to a giant elephant parked facing the Margate beach, however, the dots connected to various Weird NJ pieces I had stumbled across in magazines. 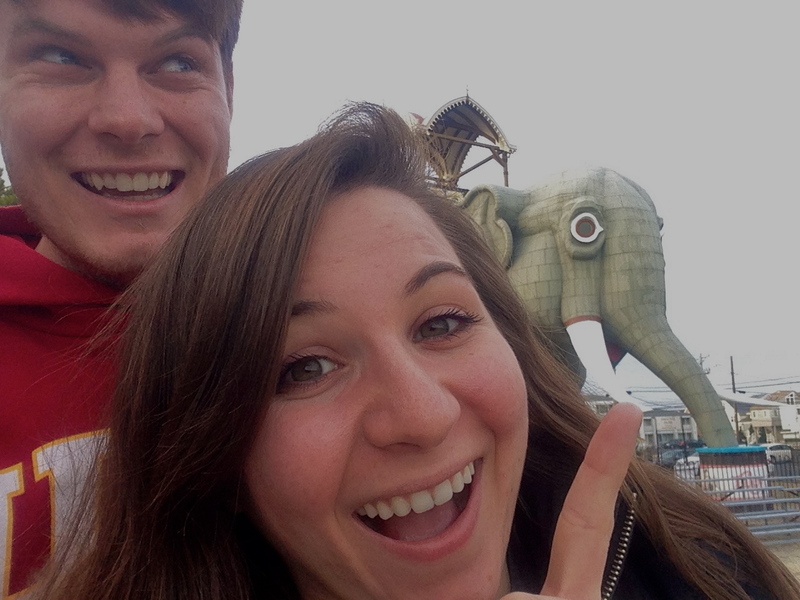 We were visiting Lucy the Elephant, a six-story gimmick of a tourist attraction that has been overlooking the Atlantic since 1881. Lucy the Elephant was constructed with 90 tons of tin and wood by James Lafferty, who figured that a 65-foot tall elephant would be the perfect way to bring in tourists and sell some real estate. He got so excited about his idea that he also constructed two more elephants – the Elephantine Colossus of Coney Island and the Light of Asia of Cape May, neither of which survive today. Unfortunately, Lucy wasn’t enough to bring in buyers and Lafferty sold her after only six years. She then went on to serve as a restaurant, business office, cottage and even a bar (shut down by prohibition). However, even throughout all of her various occupations, it wasn’t enough to keep the elephant in business – she fell into disrepair and due to a new buyer interested in the land under her feet, she was scheduled for demolition in 1969 to make way for a condo complex. Harron formed the Save Lucy Committee, which was given a mere 30 days to raise enough money to move Lucy or pay for her demolition. Volunteers fund-raised by going door-to-door, selling baked goods and enlisting local groups. As you have probably guessed, the Save Lucy Committee miraculously raised the funds and she was moved 100 yards southwest and completely refurbished with the help of the only interested architect in the northeast area. The Committee’s efforts paid off in more ways than one – Lucy the Elephant was designated a National Historic Landmark in 1976. After paying $8 and hiking up the winding staircase inside Lucy, we emerged in the same area which Lafferty originally showcased his real estate parcels. Now, the cozy den houses whimsical paintings such as Lucy in Blue or The Gin Drinkers, fantastical paintings all featuring the celebrated Lucy the Elephant. We checked out the ocean through Lucy’s eyes and then further hiked up the staircase to Lucy’s summit, an Asian howdah carriage which is a replica of the original. 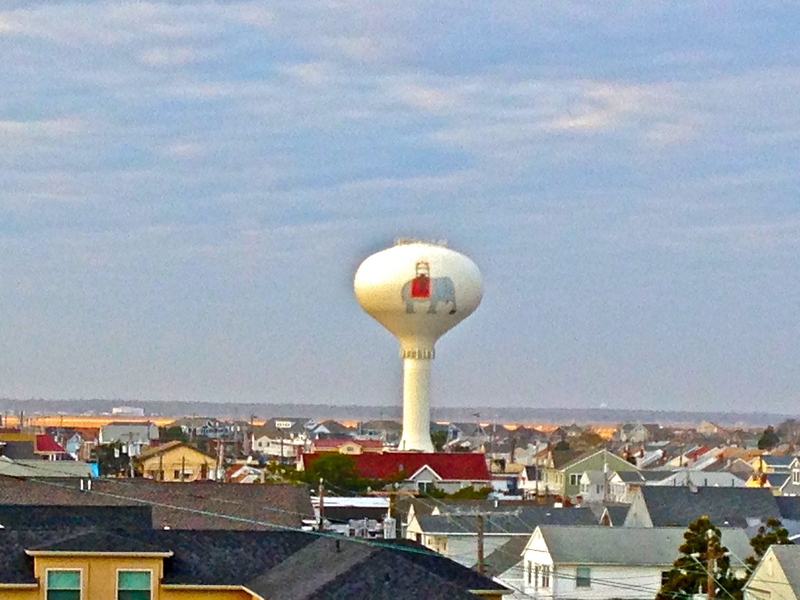 New Jersey is stuffed with oddball roadside attractions which seem to emerge in particular frequency at the Jersey Shore. At first glance, these curious sights seem not only peculiar, but pointless. 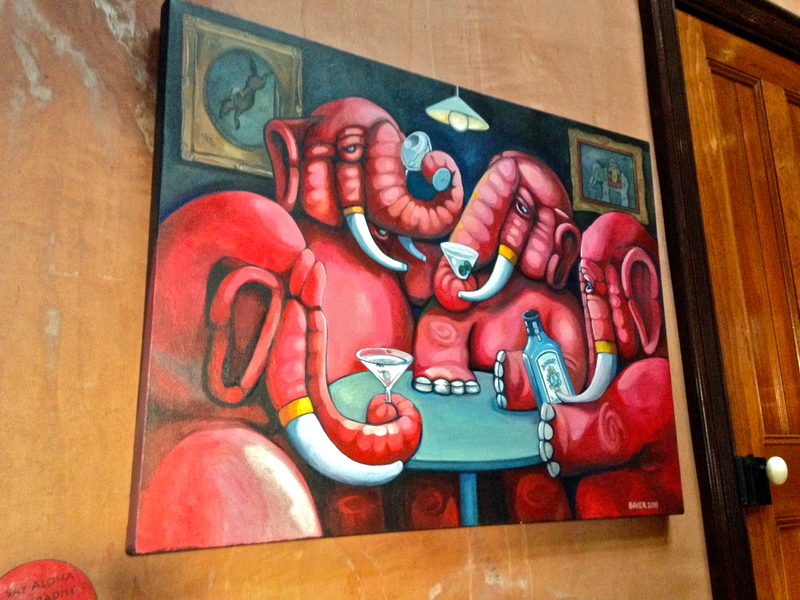 And maybe they are – except for the fact that they house various degrees of history that can only be contained inside a cartoon, colorful elephant.